A brief article on how to add points to Folders in Zunos. Use this feature to drive engagement for particular published content. Points gained by users will contribute to Achievement and Leaderboards. Click on the folder and next, click on the title of the folder in the information bar on the right-hand side of the screen to open additional settings. 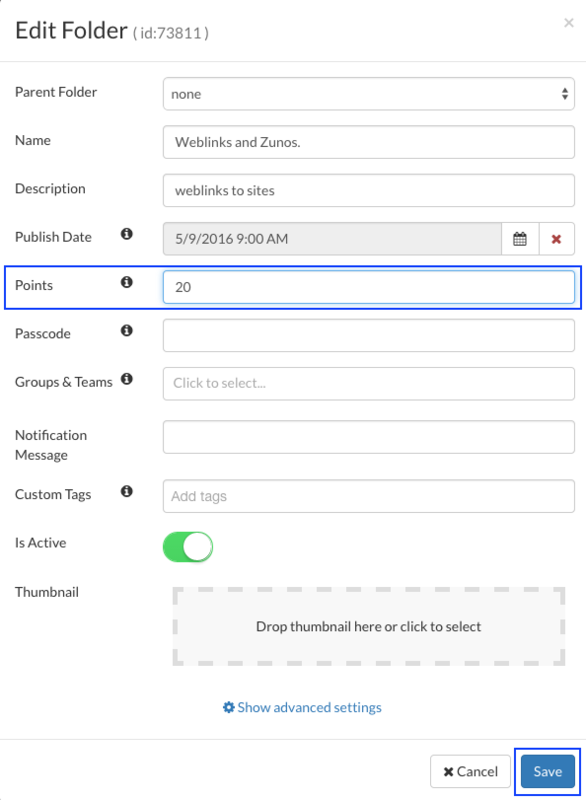 Set the number of points you would like the user to earn when opening each piece of content in that folder for the first time. For example, there are 20 points set on this folder below, any content within this folder is now worth 20 points when it is opened for the first time.